Ray Anthony. Young Ideas/Moments Together. Ray Anthony and His Orchestra. Young Ideas/Moments Together. You have probably heard Ray Anthony’s music without realizing it. He made top-selling recordings of “The Bunny Hop” and the “Hokey Pokey” in the early 1950s that are still played at weddings. He had other big hits with TV show themes from the period, including Dragnet and Peter Gunn. His influence is wide-ranging in both television and movies. Anthony, born Raymond Antonini in Bentleyville, PA in 1922, moved with his family to Cleveland and there he took up the trumpet, starting his own band as a teenager. 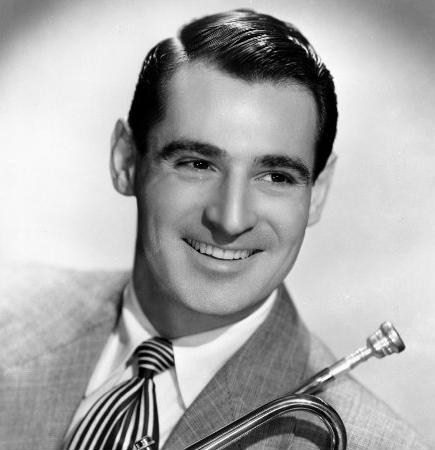 He joined the Glenn Miller Orchestra by the age of 18, then did a later stint with Jimmy Dorsey, as well as having a Navy band during World War II. After the war he signed with Capitol Records, and eased into a long career of touring and recording, intermixed with television and film work. If you’ve read this far, you may want to know that Anthony is still alive and working, at the age of 93. He and his orchestra have released 126 albums. Beat that. For those of us who are of the boomer generation, easy listening music (as it has been characterized since the 1950s) is anathema. The movie Good Morning Vietnam’s verbal exchanges between the disc jockeys over what music to play were real, about massive shifts in aesthetic taste between those who lived through World War II and those who came after. Growing up, most of my friends despised all music that came before rock, but I had a few differences with them. Secret differences. I was exposed to easy listening through my parents, through the radio stations they listened to, the albums my mother owned (or borrowed from my Aunt Emily). I found the style interesting, sometimes enjoyable, and just one more genre that was worth pursuing in some measure, depending on my mood and inclination. The category itself is a construction (like all others) that includes non-jazz/non-classical orchestral music, some pop vocalists, and a range of other artists who were popular sellers in album format in the 1950s-1970s but didn’t fit other categories. Ray Anthony has come to fall into that category by default, being a bit too sweet to be considered big band jazz (although he has his moments). This recent import combines two albums, both released in 1957, that show two sides to Anthony and his orchestra. Young Ideas is all instrumental, a collection of standards by Cole Porter, George Gershwin, Jerome Kern, and others, all played in a style that Glenn Miller would have found perfectly suitable. The album title is odd, considering that it’s all middle of the road big band material, at the sweet but classy end. No novelty tunes, no long solos, and no jive. Anthony displays his strong trumpet playing and the arrangements are tasteful, never gaudy. Four cellos are included for a more mellow sound than a big band is commonly known for. I could listen to this for hours. The second album, Moments Together, removes the cellos and replaces them with the Ray Anthony Chorus, a cloying group of vocalists who sing partial lyrics, echo refrains, punctuate stanzas, run overtop of the melody, and make themselves a general nuisance. I wish he had kept the cellos. This style of vocalizing was popular for a period in the 1950s, but went out of style fairly quickly. Percy Faith and a few other easy listening stalwarts used it as late as the 1960s. Here it sounds dated, limiting to the music. The band performs a dozen more standards, Rodgers, Gershwin, and others, none of whom need the “woo--woo” and “ah--ah” of the Chorus for improvement. Now, in a different context of the same period, doo-wop, background vocals were vital to the style, often the most important part in simplistic music with few chords, insipid lyrics, and little instrumentation. Here it seems like syrup poured over ice cream. Too sweet by far. Thus, Phono Records, a European label, has given us a mixed bag, and one that will not fully appeal to all. You can tell which half of the album I prefer, and you can decide for yourself if you like the vocal stylings of the Ray Anthony Chorus. As for Anthony himself, he should keep doing what he’s doing, since it seems to be working for him. 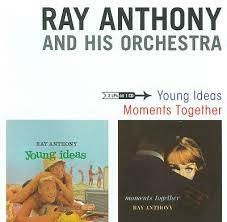 Personnel: Ray Anthony (trumpet, bandleader), with orchestra, the Ray Anthony Chorus, and unnamed cellists. Tracks: Young Ideas: Moonglow, Why Do I Love You?, I Love You, Nice Work if You Can Get It, Lonely Night in Paris, Button Up Your Overcoat, You Turned the Tables on Me, Just One of Those Things, That Old Feeling, Coquette, Wrap Your Troubles in Dreams, Young Ideas. Moments Together: Love is Here to Stay, Careless, Everything I Have is Yours, Many Faces, Goodnight Waltz, No Other Love, Please Mr. Sun, The Things I Love, With You in Mind, Oh! What It Seemed to Be, In Time, If I Ever Love Again, Cello-Phane*, The Lonely Trumpet*. This past weekend was quite hot and humid, and so my wife and I felt ourselves fortunate to have booked tickets for the Ohio Light Opera and its air conditioned theater months in advance for Saturday and Sunday. We have been attending at least a couple of productions each summer since 1999, enjoying both the operettas and the local delights of Wooster (We highly recommend both the Broken Rocks Cafe and Matsos Family Restaurant). The 37th season of the OLO continues to provide its audiences with top notch operetta and early musical theater. 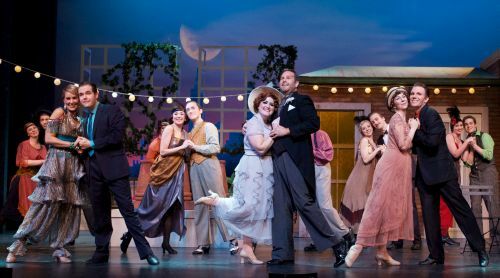 Beginning with a core of Gilbert & Sullivan, the organization has expanded its offerings to include a variety of European and American operettas, and early 20th century and Golden Age musicals. Oh, Kay! fits into the musical category, a madcap comedy that opened on Broadway in 1926. It had excellent runs in both New York and London, and initially starred Gertrude Lawrence. While some of the music is familiar (“Clap Yo’ Hands,” “Do-do-do”), the work is particularly remembered for one song, “Someone to Watch Over Me,” which has entered the canon of standards. Set during Prohibition, the plot is the usual mix of silliness, involving two crimes, bootlegging and bigamy, and the efforts of the Duke of Durham, Lady Kay, Larry, and Shorty to save their stash of booze hidden in the basement of a house in Southampton. Jimmy, the owner, has suddenly appeared with a new bride (sort of). As it turns out, his previous marriage was never annulled, much to the unhappiness of present wife, Constance, and her father, the Judge. Meanwhile, the bootleggers pretend to be previously unmet domestics awaiting the return of the squire, while plotting to move the liquor. Thrown into this mess is a revenue officer and a pair of ditzy sisters. Jimmy, of course, falls in love with Kay and tries to get out of his impending marriage to Constance. All is eventually resolved, but it’s a bit obscure as to just how, as the plot is intentionally a confusing mass of multiple roles (bootlegger as butler, etc. ), mishaps, misunderstandings, and near misses. However, the plot is barely the point, as it merely serves as a coathanger for the music and lots of one-liners. And the music is gorgeous. The cast for Oh, Kay! is outstanding. Nathan Brian is utterly engaging as Jimmy Winters, the unintended bigamist. He acts, he sings, he dances, and he does them all with the aplomb of a young Steve Martin. Equally delightful is Emily Hagens, who has a great deal of fun with her part as Kay, changing accents at a moment’s notice, and doing both the comedy and the love scenes with charm and ease. The bootleggers were in fine form, with special kudos to Samus Haddad as Shorty, whose jokes were so awful they were funny, and Spencer Reese, who showed off his dancing abilities in the number “Fidgety Feet.” The Ruxton sisters, played by Sarah Best and Alexandra Vecchio were simply a hoot. There were no dull moments here; every scene was captivating, every song worth hearing. Only one thing threw me. Emily Hagens had her big romantic moment with “Someone to Watch Over Me,” but I was a bit startled by her choice of a rather operatic voice. I’m used to hearing it more as a sultry torch song. However, with only a bit of digging, I discovered that Hagens was performing it the way Gertrude Lawrence did in the original run (you can hear it on YouTube). Leave it to OLO to be authentic in its presentation. As usual, the orchestra performed the music seamlessly and with great enthusiasm (I’m still humming the tunes). The scenery was delightful, the costuming exactly right, the lighting a wonder. Ted Christopher and J. Lynn Thompson are to be congratulated on a job well done. If you haven’t yet experienced the Ohio Light Opera, please go. It is a hidden gem that cannot be found anywhere else. The season only runs through August 8th. Get thee to Wooster. Cast: Caitlin Ruddy (Molly Morse), Katherine Corie (Peggy), Kyle Yampiro (The Duke of Durham), Emily Hagens (Lady Kay), Spencer Reese (Larry Potter), Samus Haddad (Shorty McGee), Sarah Best (Phil Ruxton), Alexandra Vecchio (Dolly Ruxton), Nathan Brian (Jimmy Winters), Jessamyn Anderson (Constance Appleton), Boyd Mackus (Judge Appleton), Benjamin Krumreig (Revenue Officer Jansen), and others; with ensemble. Ted Christopher (Stage Director, J. Lynn Thompson (Conductor), The Ohio Light Opera Orchestra. Musical Numbers: The Woman’s Touch, Don’t Ask, Dear Little Girl, Maybe, Clap Yo’ Hands, Do-Do-Do, Never too late to Mend-elssohn, Someone to Watch Over Me, Fidgety Feet, Heaven on Earth, Oh, Kay. 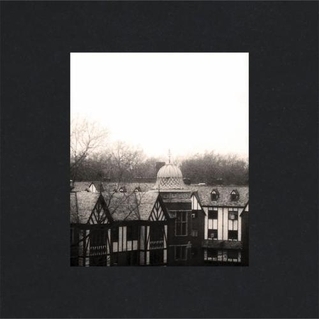 Cloud Nothings. Here and Nowhere Else. Yay! I get to review an album that came out over a year ago! Thanks, Mr. Editor (Editor’s Note: You were my third choice). They just released a new album, sharing it with Wavves, but I get this one. Anyway, all the accolades have been written, it got a great review from Pitchfork, another from Consequence of Sound, and things seem to be going pretty well for the band. They performed at Coachella this year, and it looks like they’re touring out west right now, so maybe they won’t read this. The band seems to be lucking out with producers. Their last album, Attack on Memory, was produced by Steve Albini, and this one by John Congleton. I guess it goes to show what moving out of town can get you. The band sounds even better this time out than on some of their earlier albums. Moving from a quartet to a trio has changed the sound a bit. Punk and grunge predominate, but I think there’s some other stuff there too. There’s a lot of melody and some nice hooks, but some screaming. 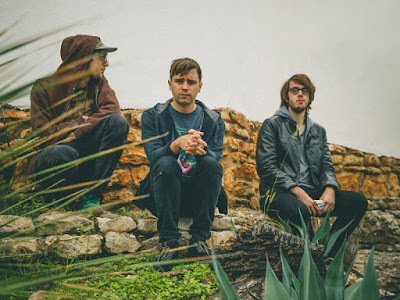 They’ve knocked out some of the low-fi/power pop sound they started with, and Here and Nowhere Else seems to continue that trend. Now they’re all pretty much all high energy, which suits me just fine. Fewer highs and lows than the last album. It’s focused and consistent (unlike me), and I don’t hear any loser tracks. Every song is good, but I especially like “Pattern Walks,” partly because it rocks out for seven minutes. Nice guitar work from Dylan Baldi, and some seriously cool drumming from Jayson Gerycz. “I’m Not Part of Me,” is great too. I guess I like the longer tracks. The lyrics are cool, with a lot of angst mixed with a few glimmers of humor and hope. Try http://genius.com/Cloud-nothings-now-hear-in-lyrics, which has some commentary from Dylan Baldi about the songs. He says that he likes to write stuff that’s hard to play, which makes him practice and get better. Good strategy, and it seems to be working. What else is there to say? Great band, great music. If you don’t know them, check them out. Personnel: Dylan Baldi (guitar, vocals), Jayson Gerycz (drums), T. J. Duke (bass). Tracks: Now Hear In, Quieter Today, Psychic Trauma, Just See Fear, Giving into Seeing, No Thoughts, Pattern Walks, I’m Not Part of Me.